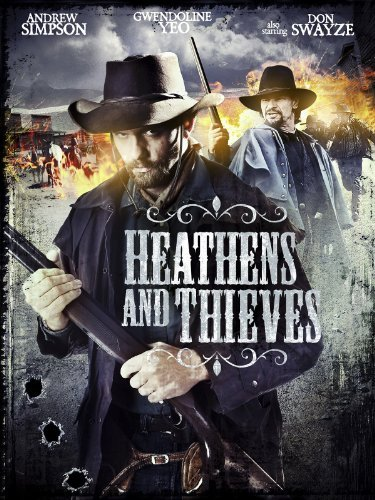 werewolf, on the HBO series True Blood He was Col. Sherman Rutherford in a Western-Film Noir hybrid called Heathens and Thieves. 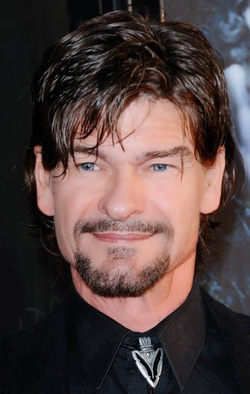 Swayze was born in Houston, Texas, Like his older brother, the late Patrick Swayze, he studied acting with Milton Katselas at The Beverly Hills Playhouse. Carnivàle, as well as Criminal Minds in which he played Charles Hankel, the father and alternate personality of serial killer Tobias Hankel. On Cold Case Swayze played an adult Grant Hall, who was an aspiring Olympic wrestler as a boy and whose brother went missing.He gained particular acclaim for his role in the show as a farmer in an episode of NCIS, and as the famous Alamo courier James Bonham in Alamo... Price of Freedom, an IMAX film shown in San Antonio, Texas. Hear Don Swayze's Interview On " Get Behind Me, Now Stay There " Episope 16 Just Hit Play Your Gonna Do It Anyway !